In February 2015, she joined the Executive Committee of the Caisse des Dépôts, heading the Investment in infrastructure, real, estate, energy, ICT, innovation. Gabrielle Gauthey is a graduate of the Ecole Polytechnique and holds a postgraduate degree in economic analysis. She began her career with France Telecom. In 1990 she founded and became General Secretary of the “Invest in France” agency. From 1995 to 1997 she was adviser to the French Minister for Space and Telecom in charge of Telecom and ICT and drafted the 1996 law opening the telecom sector to competition. From 1998 to July 2000 she was Deputy CEO of Sofirad and CEO of “Le SAT”, first video satellite bouquet to Africa. Till January 2003, she was Director of the Information and Communication Technologies Department at the Caisse des Depôts. 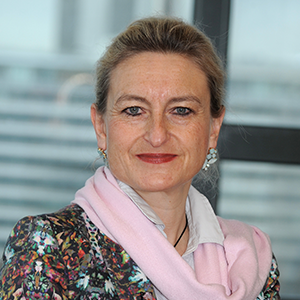 From 2003 to 2008, she was Commissioner at the French Regulatory Authority for Electronic Communications and Posts (ARCEP) and vice-chair of the ERG (European regulators’ group). From 2009 to 2015, she was Group corporate Vice President, in charge of Global Public Affairs and Governmental projects for Alcatel-Lucent. 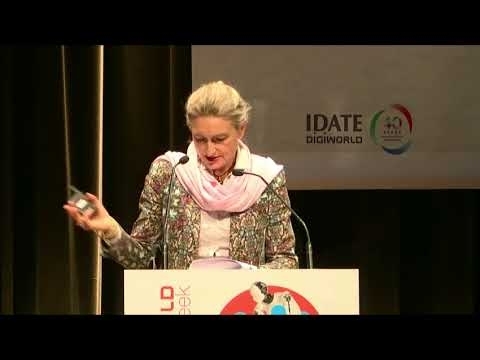 She is the former President of the innovation Commission of Medef, former vice-president of the French Federation of Electrical, Electronic and Communication Industries (FIEEC) and member of the French nationall council for digital economy. She sits at the board of DCNS, Radiall and SNI.